Great digital experiences of the future will come from blending technology with more personalized engagements and providing the perfect level of human touch to the self-service experience, exactly when the customer needs it. BOT powered live engagement platforms are transforming digital buying and the customer service experience just like CRM and Marketing Automation have transformed sales and marketing. These platforms have helped companies connect with their customers from a wide variety of digital properties (including websites, mobile apps, social media communities, affiliate ecosystems) to create that special digital relationship that can be as human as the customer desires. US businesses have always been fascinated with increasing human productivity. Today, it is the turn of autonomous agents to create digital experiences that augment or substitute human intellect. BOTs are software programs that use AI to mimic human-like conversations and perform tasks. First generation ChatBOTs were about answering questions that users had about the company and its products. The idea was for the user to ask a question and for the BOT to provide an answer. If the answer requires integrating other business lines or systems, the BOTs provide APIs to coordinate workflows. The next generation of BOTs will be focused more on establishing a relationship between a brand and a customer or prospect. Each interaction with a customer will make the BOT better informed and personally connected to the customer. In addition, BOTs will become effective at proactively initiating conversations with a customer rather than just reactively responding to a request. Throughout a consumer’s service or buying journey, they are looking for something specific and have come to your online property, whether that’s a website or social media account. Do you have an online greeter who orients them and sends them to the right destination instantaneously? Do you have an expert at that destination to meet them and ask them about their specific needs by showing them products or solutions? Once they are ready to buy your product or service, are you completing their journey in the best possible way by up-selling appropriately, creating brand loyalty and a longer term relationship with them? This is exactly how machine learning and intelligent ChatBOT interfaces help companies control the digital experience and maintain a special relationship with their customers. You can start with ChatBOTs; they create great efficiencies both for the consumer and for your business. Make sure your ChatBOT can co-browse your website with your customer, showing them relevant information. But it cannot stop there. A study by information.com recently reported that BOTs could only comprehend 30% of customer requests made. It’s imperative that your BOT can transfer to a human expert real time when the customer or service issue warrants it, ensuring the transition is seamless. Enhancing the live agent conversations with two-way audio, video and co-browse will significantly improve the customer experience. The customer can turn on their camera and show you the room they are trying to furnish or the water filter they are trying to replace. You can walk them through your showroom with a mobile camera while they shop with their feet up on their couch. These features enable a concierge type service and significantly boost customer satisfaction and brand loyalty. On the consumer side, we expect personal BOTs to spread across the landscape. These BOTs will be the primary interface between a customer and the Internet. Every customer request will be tracked by the personal BOT, allowing it to learn more about the customers’ needs and wants. These BOTs can then negotiate on behalf of the customer and involve them only when it is necessary to make a new choice. The personal knowledge that the BOT collects will be owned and stored by the customer and released to potential businesses on a case-by-case basis. Knowledge about products and services and about your domain will be stored by the business BOT and owned by the company. 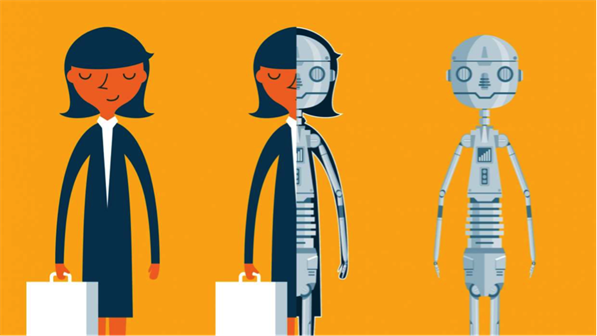 Over time, personal BOTs will mimic the personality of the customer and business BOTs will embody the company’s brand. People that can combine technology-powered personalization with human intelligence will be the winners. We see early adopters in retail, financial services, automotive and pharmacology building new innovative business models by taking advantage of smart AI based live engagement interfaces backed up by real live human interaction. Businesses that embrace this now will have a significant competitive advantage.